The Pokémon Company has announced that your partner Pokémon will have exclusive moves that no other Pokémon can use in Pokémon Let’s GO, Pikachu! and Pokémon Let’s GO, Eevee!. As your relationship with your partner Pokémon reaches a certain level, they will signal that they are ready to use their partner power in battles. They can also signal when not directly in the battle, bolstering your Pokémon that is fighting by boosting its stats. Pikachu’s exclusive moves include Pika Papow and Splishy Splash. Pika Papow is also a partner power, meaning that it is performed when the partner sign appears in battle. The move’s power can increase based on how strong the player’s bond is with their partner Pikachu. Whereas the Water-type move Splishy Splash can paralyze opponents. Veevee Volley, Bouncy Bubble, Buzzy Buzz and Sizzly Slide are Eevee’s exclusive moves. Veevee Volley is also a partner power, which will increase in power depending on how strong Eevee’s relationship is with you. The Water-type move Bouncy Bubble will heal Eevee for half the damage that it deals to your opponent. 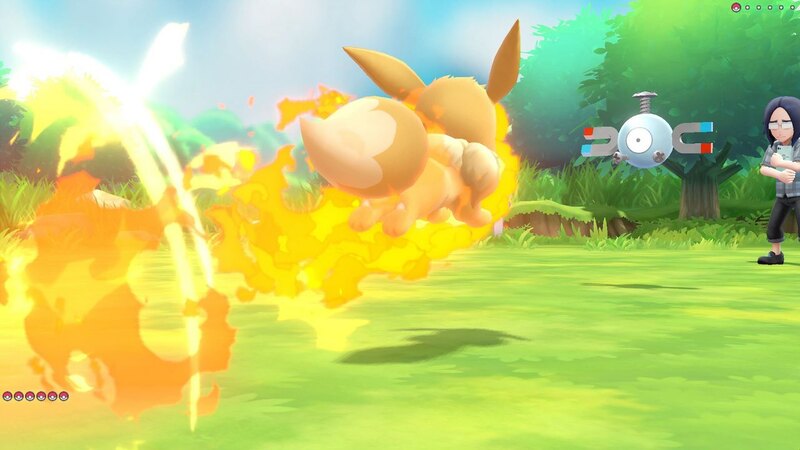 The Electric-type move Buzzy Buzz will paralyze them, while the Fire-type move Sizzly Slide will always leave your opponent with the burned status condition if it is hit. Secret Techniques Revealed For Pokémon Let’s Go, Pikachu! And Let’s Go, Eevee!